Ever wished that maybe life could be different? If your goal is making more time for your family, getting ahead financially and making yourself a better life and future, maybe it’s time to seriously consider that tree change you’ve been thinking about for a while. There is a world out there where the median house price isn’t $811,000 (Sydney). How does a brand new three-bedroom house with raked ceilings and polished concrete floors for the price of $425,000 sound? Or perhaps you’re looking for an sprawling four-bedroom family home on establishment grounds of 1251sqm for $515,000? These prices are based on houses in Mudgee available right now, and we haven’t even scratched the surface with more to look at in Gulgong, Rylstone, Kandos or one of our other regional townships. With prices surging in Australia’s populous cities, perhaps it’s time struggling first home buyers and young families looked a little further afield – and extended their horizons when it comes to jobs, social networks and pre-conceptions about regional areas. Of course, a tree change entails a huge move out of your comfort zone – finding a job, leaving friends, settling in and wondering if there’ll be anything to do. And when it comes to career, moving out of Australia’s biggest cities may not be for everyone as there are some jobs that simply require you to be in the thick of things. But for the vast majority of people who have skills and careers that make them employable in many locations, there are opportunities for those prepared to look. 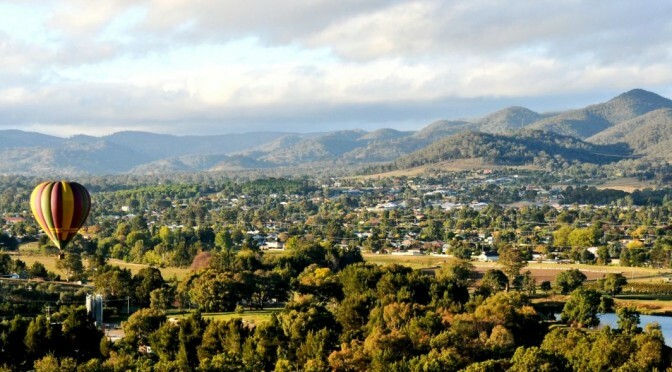 Mudgee is the third largest wine producing region in NSW and is rapidly gaining a reputation as a foodies’ destination. There are several open cut and underground mines within 40 minutes drive that account for the bulk of employment in the region. Mudgee boasts a state of the art sporting complex and all sporting disciplines are on offer: rugby league, union, AFL, soccer, netball, swimming, cycling, triathlon, dance etc. You are surrounded by endless tablelands, rolling hills, wildlife and national parks, yet you are only three hours each way to Sydney or Newcastle. Today’s technology bridges the distance between friends and family, allowing you to stay connected at the touch of a button. For a growing number of people, this also allows you to work remotely or establish a business that suits remote work. If a tree-change is what you’re looking for, there’s a lot of leg work to be done first. Do as much research as you can; visit www.regionalliving.com.au and www.osr.nsw.gov.au/grants/rrg/ for more information. Of course, for local market knowledge and property availability in the Mudgee region, you need look no further than The Property Shop. Please don’t hesitate to call, email or visit our Facebook page or our website for property listings in Mudgee and surrounding districts.